Financial returns will be impacted by the complexity of deployments, need for new skills and security considerations. The Internet of Things has the potential to deliver cost savings and generate new revenues for organizations that can handle IoT’s complexity, build new workforce skills and address heightened security demands, according to a new report released today by CompTIA. 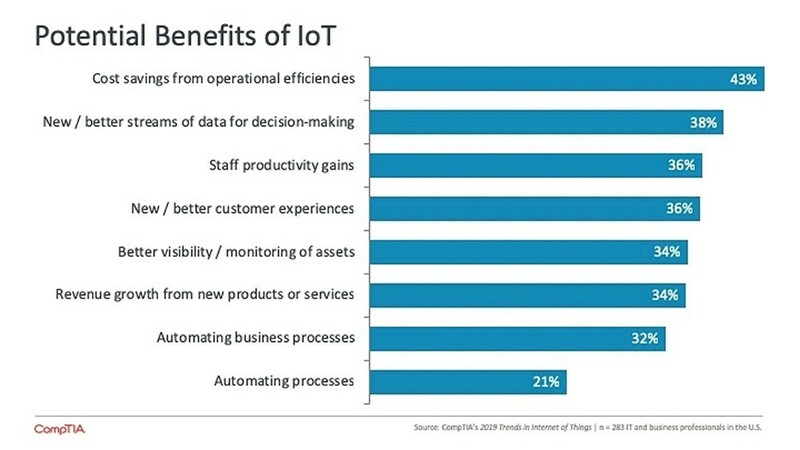 CompTIA “2019 Trends in Internet of Things” gauges the current state of play for commercial deployment of IoT solutions. Some 500 U.S. companies were surveyed on their current and future plans for IoT. Organizations were fairly evenly split when asked about the potential financial impact of IoT. About 35 percent see IoT as primarily a way to save costs, while 31 percent see it as a revenue-generator. The remaining firms expect to see a mix of cost savings and new revenue. Regardless of where the funding comes from, companies acknowledge they are challenged by determining the return on their investment in IoT. Nearly six in 10 say it will be very difficult or moderately difficult to make that ROI calculation; 43 percent say upfront costs are a major hurdle; and 34 percent cite ongoing costs as an issue. “There is a tremendous opportunity for internal IT teams or external technology partners to lead the discussion on ROI,” Robinson noted. Beyond cost considerations, the report identifies other critical factors must be address for IoT projects to succeed. The Internet of Things ecosystem is complex – Many pieces must come together to build a successful IoT implementation. This includes the hardware “things;” software for connecting and orchestrating activities; rules and standards to enable mass adoption; and services to deliver the true value of the new data that’s being generated. Few companies feel they have high expertise in any of these areas. New skills are needed for IoT success – Beyond the emergence of new job roles such as IoT architects and IoT security specialists, companies will likely need to upgrade existing technology skills in cloud computing, networking and security. In fact, security tops the list of critical skills needed for IoT, as identified by companies in the CompTIA study. 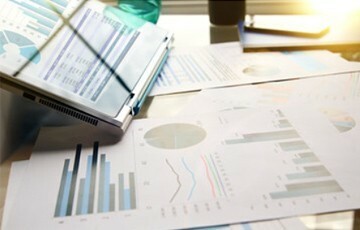 Data management and analysis, networking, device support, cloud computing and artificial intelligence are also viewed as skills critical to IoT success. Handling IoT security – As any new innovation takes hold, the security stakes are raised. With IoT companies will face a monumental challenge: applying digital security to processes that have never before been digitized. Six in 10 companies in the CompTIA study said cybersecurity should be the priority in IoT deployments, while 24 percent said they would prioritize innovation over security. The post Organizations See the Internet of Things as Both a Cost-saver and a Revenue-generator appeared first on IoT Business News.